A view of Great Gable from the summit of Haystacks. Green Gable is the smaller pointed peak to the left. 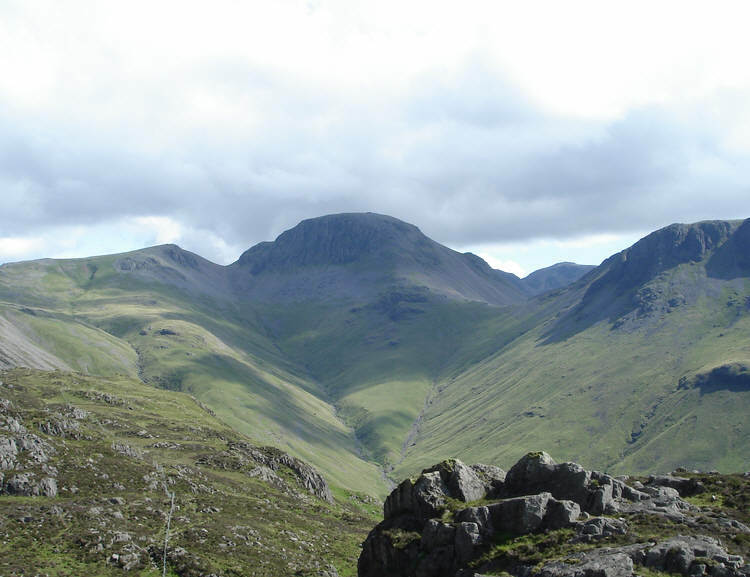 Just to the right of Great Gable is a distant view of part of the Scafell group. At the right is Boat How Crags, part of Kirk Fell.